Peter Rabbit Organics Review & Giveaway from Momma Lew's Blog! 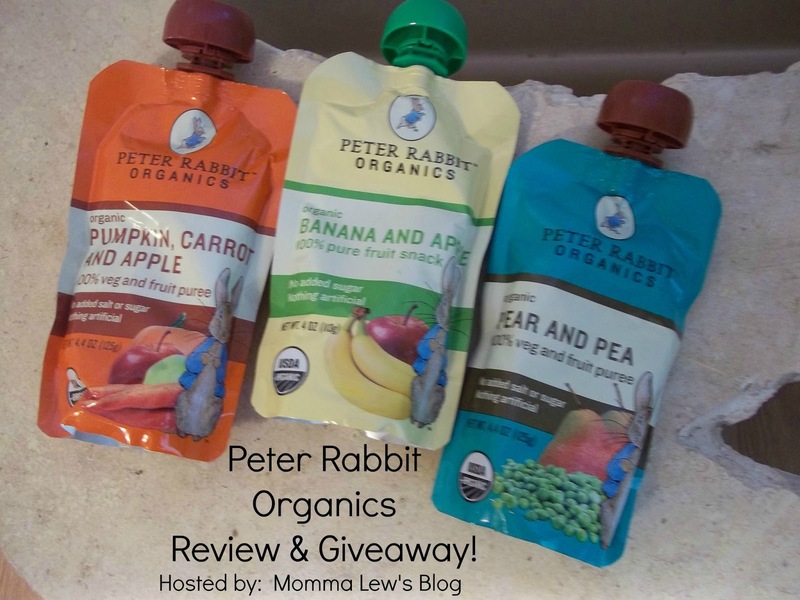 Peter Rabbit Organics Review & Giveaway! I love these squeezy pouches that purees come in now. 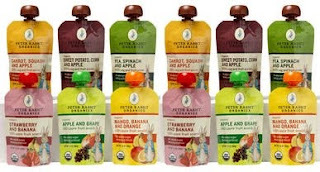 Peter Rabbit Organics is a brand that makes high-quality fruit & veggie blend snacks. They are so great for babies, toddlers and even adults! While we are on line at Starbucks, it always seems that these are strategically placed right at my toddler's eye level at the checkout area. I noticed it when my son was a toddler and now with my daughter. Of course, because it is an all-natural healthy snack, how can you say no?! Peter Rabbit Organics recently sent me a few pouches for us to review! The yummy pouches we got to review! 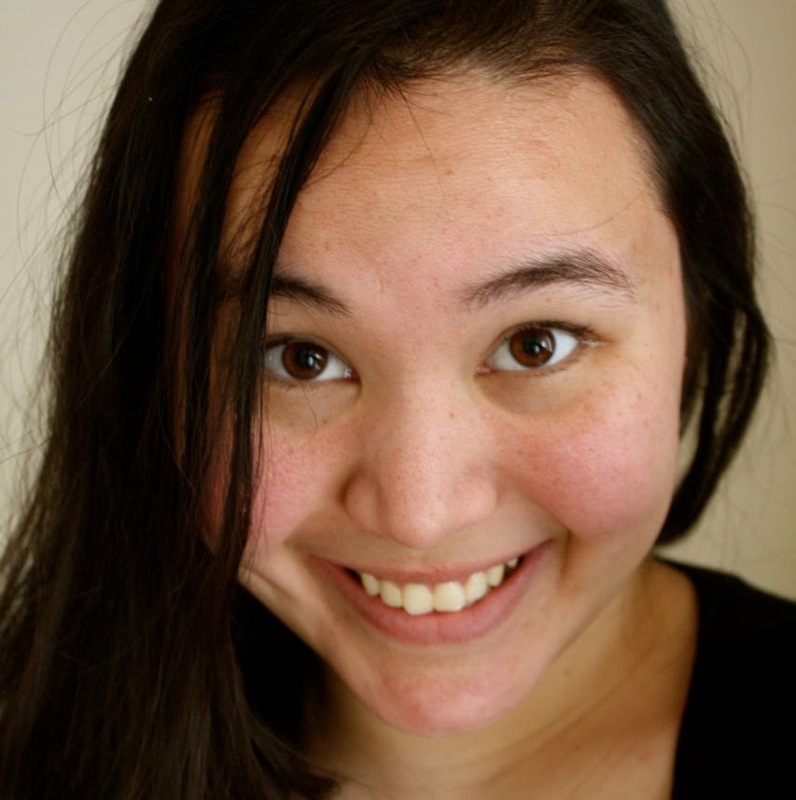 Peter Rabbit Organics' is a small, privately owned company based out of Oregon. All of their products are produced there and when possible they use local ingredients. Peter Rabbit Organics' pouches are 100% organic with no added sugars, salt or anything artificial. They are 100% BPA free as well. The cap is made so your little one cannot choke on it, but they are recommended for 6 months and older. 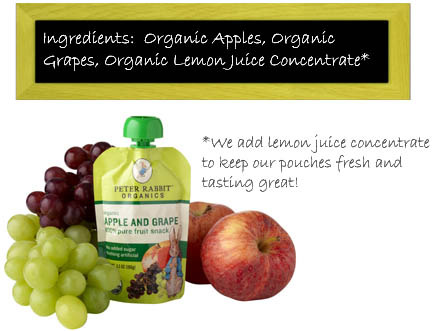 Each pouch contains 1 serving of fruit and is high in Vitamin C. The USDA Organics stamp is right there in front for all to see. My daughter's favorite is the Apple and Grape flavor! Peter Rabbit Organics makes it easy as a mom to get my little ones to eat their vegetables in a fun and easy way! These are great for on the go, especially for trips to the park or beach! This weekend when we were at Starbucks, I grabbed a little bit from my daughter's pouch. Since I am still eating on the Whole30, this was about the only thing that I knew was safe for me to eat as a snack. Funny story: Right after I snapped this photo, my daughter took a straw & put it in the spout and she drank her pouch. Too funny! 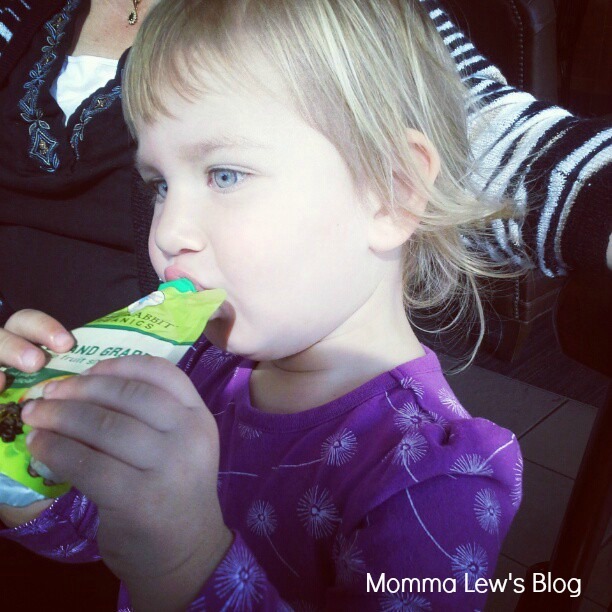 Julia enjoying her Apple & Grape pouch at a recent trip to Starbucks! Where can you buy your own pouch? 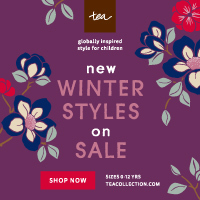 Peter Rabbit Organics can be found in store at places like Walmart, Starbucks, and Whole Foods. If you do not have access to these places, you can find them online through amazon.com, diapers.com or target.com. She was mad I kept making her take a photo! 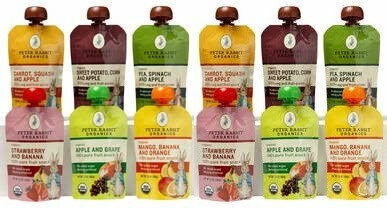 Peter Rabbit Organics has so kindly offered 1 lucky reader the chance to win 10 assorted pouches! The giveaway is open to all US Residents, 18 years of age and older! Please enter using the rafflecopter below!